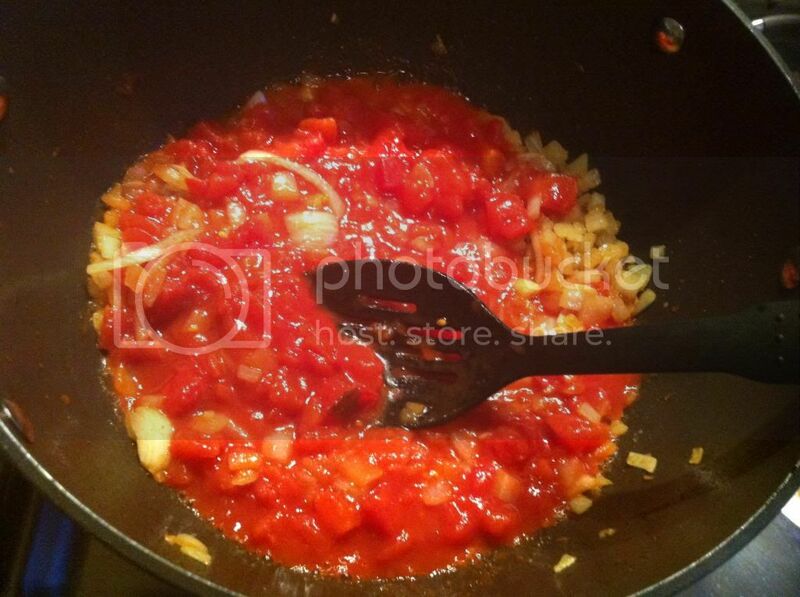 This week's French Fridays with Dorie recipe is - well, not really a recipe. Half an avocado squirted with lemon juice and the cavity filled with oil and sprinkled with salt - in Dorie's case, pistachio oil, in my case, macadamia oil. 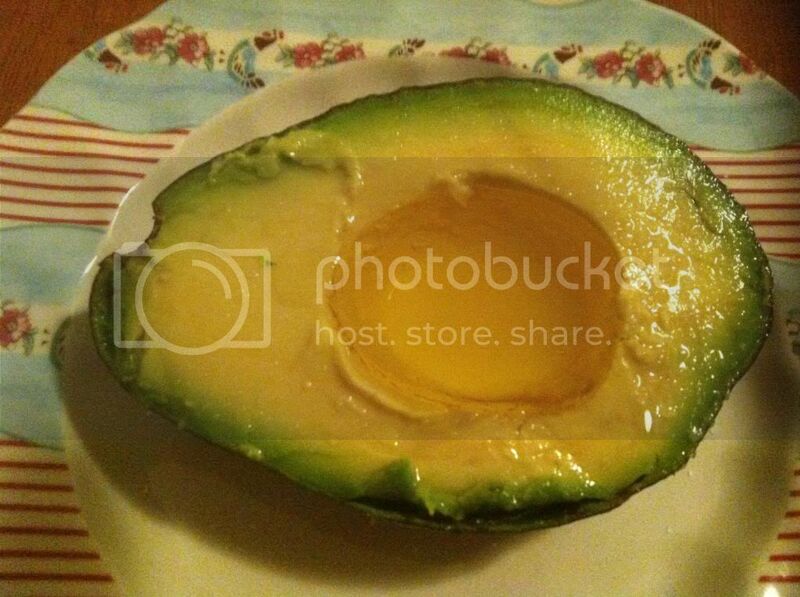 Spread on an English muffin, it's nice - but so is plain avocado with salt on a muffin. I splashed out on the oil for this recipe, but I don't really think it was necessary. I am sorry to say that I was not inspired by this dish. 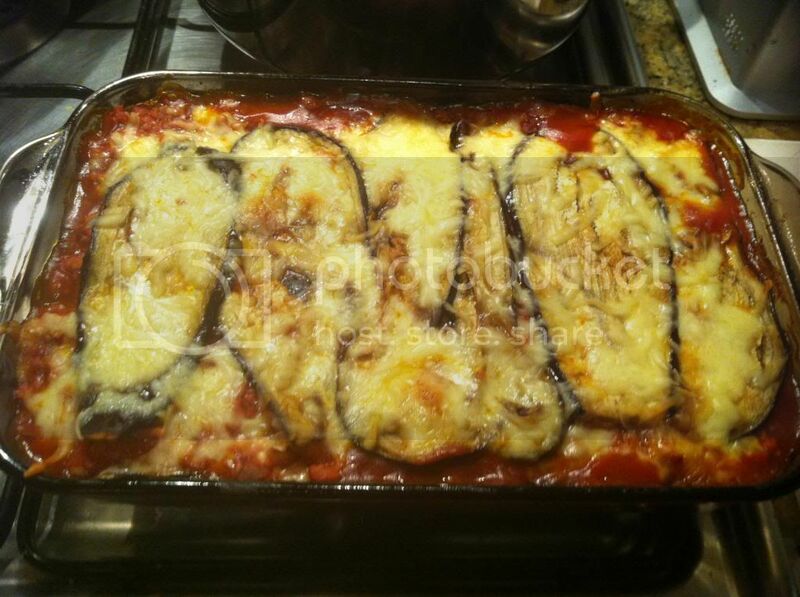 To see what the other Dorie cooks thought of this recipe, visit the LYL section of the website. I have never been a huge lover of salad, and as a kid, I hated most vegetables. However, I have become quite partial to certain types of salad as I have travelled down life's highway, especially anything containing pumpkin. The salad featured at the top of this post is surprising because it is way more green than many salads that I would normally eat, yet I enjoyed it immensely. 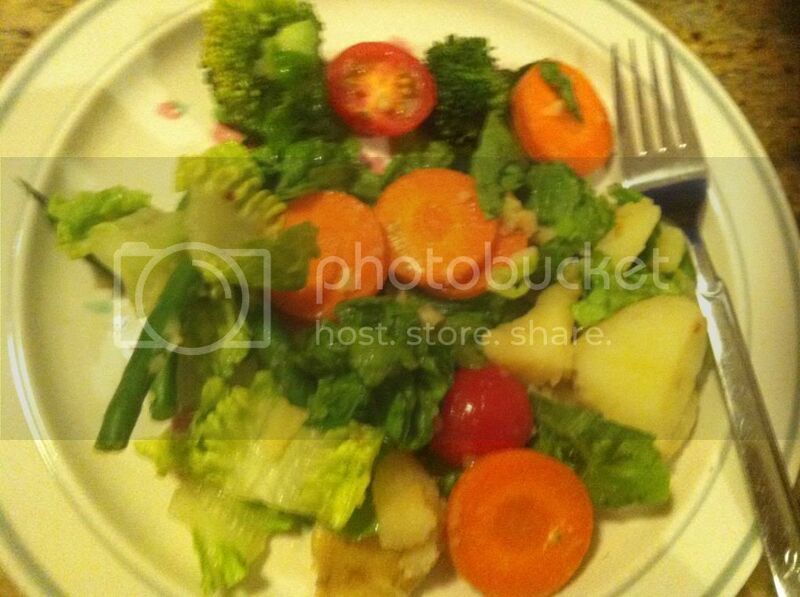 This warm salad is Sir Paul McCartney's Super Vegetable Salad. I obtained the recipe from Share: The Cookbook That Celebrates Our Common Humanity, but the recipe is also online here. The differenced between the version in Share and the Meatless Monday version are that the cherry tomatoes are not roasted in the Share version (although I wish that they had been! ), and the tofu is an optional extra. Otherwise, the recipe is the same. I used the maple syrup in the dressing, because I am a sweet tooth after all. This is a very hearty salad which serves as a meal on its own (especially if you add the tofu), or which makes a wonderful side dish (which is how I served it). If you sometimes get a bit lost as to what to do with veges to make a tasty salad, like I sometimes do, you can't go wrong with this fabulous super salad. It tastes good warm (as the recipe is written) or cold (for all of those leftovers). The weekend before last, Tim and I spent a leisurely three day weekend in sunny Sydney. The weather was blissfully warm during the day, with cold, crisp nights. Having come from rainy, grey Melbourne, we really appreciated the contrast. While in Sydney, we went to see the Swans play Fremantle in the AFL (it was a draw), visited the Art Gallery of NSW to see the Archibald Prize exhibition, went on a free tour of Government House in the NSW Botanic Gardens, and went on the ferry to Manly. We also ate lots of very good food. At the top of this post is the Tiger from Harrys Café de Wheels at Woolloomooloo. 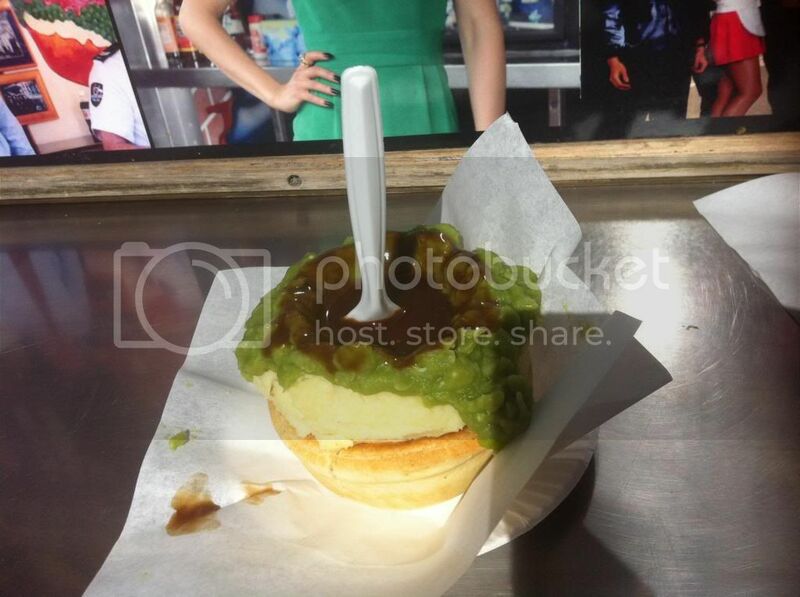 A Tiger is a pie topped with mashed potato, mashed peas and gravy. The trick to eating it is to dig down through the gravy and mash into the top of the pie and let the gravy soak in before attempting to eat the pie. This avoids gravy ending up everywhere. For me, the surprise hit was the tangy lime and basil. Both were good, but I liked the caramel the best. These were scrumptious - sweet and sour sauce, peanuts, green beans, kaffir lime. 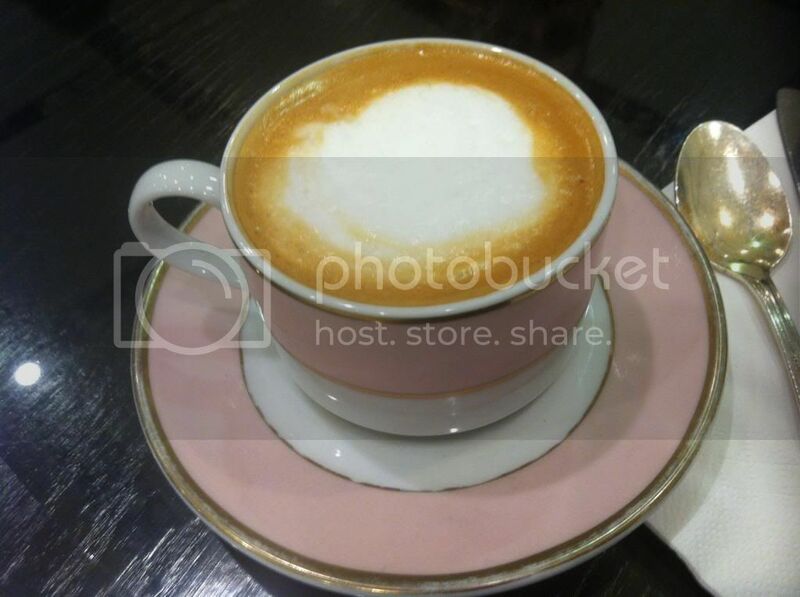 The serves were generous and the food was excellent. The service was prompt, and the ambience was perfect in the large, open sunlit restaurant. It was good, but I like Mad Mex better, where you can choose your own fillings instead of selecting from a set combination. I joined Daring Bakers oh so long ago now so that I could make pretty cakes. The strawberry mirror cake inspired me to join, and while we make all kinds of things, pretty cakes are still my favourite things to make. 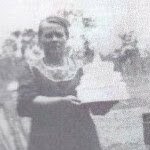 This month, I got to fulfil a long held ambition to make a particular type of pretty cake that I first saw on Anne's Food. I think it took me so long to get around to making this cake because it all sounds rather daunting. However, since I first discovered Prinsesstårta, I have made the individual components many times for other recipes, so this one didn't phase me. 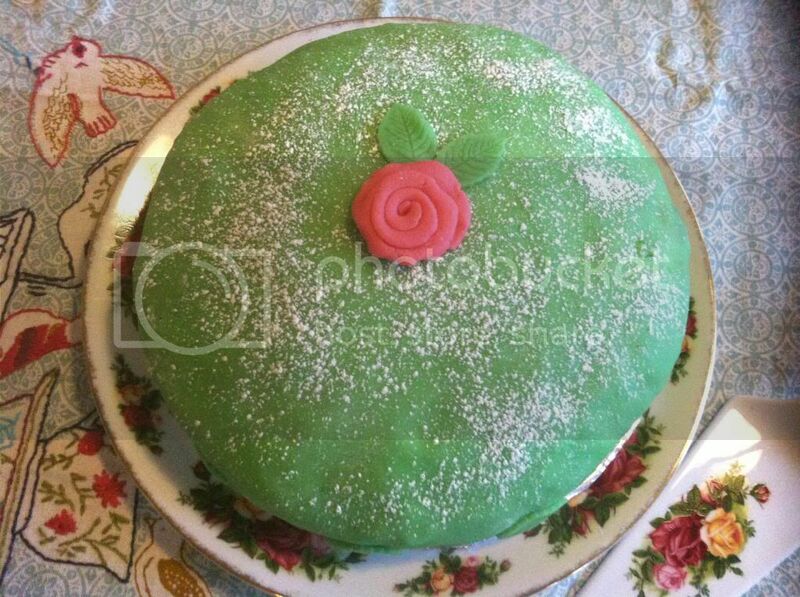 I used store bought marzipan tinted with green gel colouring, and for the jam, I chose strawberry (as I have a huge pot of it). For some reason, this custard recipe did not like me and it split - I wonder if this is because it contains cream rather than milk, which is what I am used to using to make crème patisserie. The custard never quite came back together and it chilled with a nasty hard fat layer on top, which I removed. Starting again isn't an option when several egg yolks are involved. I also rolled my marzipan a little too thin because I was 30g short of the recipe requirement (as marzipan is sold here in 250g boxes), so it tore a little in a few places. I disguised my sins with little marzipan leaves cut from the offcuts placed discreetly over the tears. They didn't know about my trials and tribulations, and I didn't tell them. 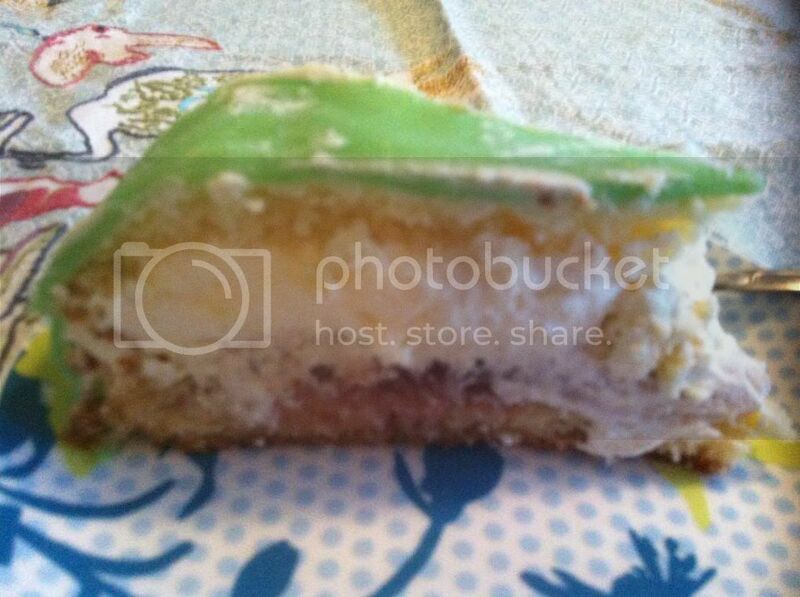 I have to say that Prinsesstårta tastes delicious - a heavenly cake fit for royalty. Thanks to Korena for setting this challenge. She will have the recipe. To check out what the other Daring Bakers made of this month's challenge, you can visit the slide show on the Daring Kitchen website in due course. My blog turns six today. 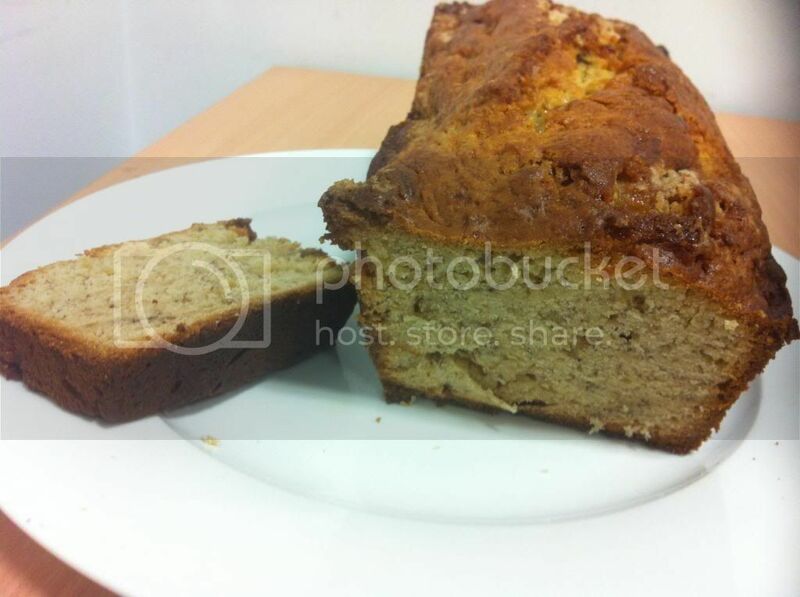 I had intended to celebrate with a fancy cake, but life took over, and instead, I am celebrating with a humble Banana and Cardamom Loaf that I made earlier in the week. Aren't these adorable! These gifts made me happy. Preheat your oven to 190 degrees Celsius and grease and line a large loaf tin. Beat the butter and sugar together in a stand mixer until light and creamy. Beat in the eggs, one at a time, adding one tablespoon of flour with the eggs. Add the cardamom, bananas and salt and mix well. Mix in the yoghurt and lemon juice, then fold in the remaining flour and bicarbonate of soda. Spread the batter into the prepared loaf tin (my batter was very thick), then bake in the preheated oven for 1 hour or until cooked through. Cool the cake in the tin for a few minutes before unmoulding onto a wire rack to cool completely before cutting. ... asparagus, tinged with ultramarine and rosy pink which ran from their heads, finely stippled in mauve and azure, through a series of imperceptible changes to their white feet, still stained a little by the soil of their garden-bed: a rainbow-loveliness that was not of this world. It has been an asparagus-tinged week for me - first asparagus in the Savoury Brioche Pockets, then Rigatoni with Peas, Asparagus and Ricotta, and now, Asparagus Soup for French Fridays with Dorie. Phew! Luckily I like asparagus. I found the steps involved in making this soup a little fiddly - peel the stalks; place the trimmings in cheesecloth and boil with the asparagus etc etc. The recipe calls for 2 1/2 pounds of asparagus, so peeling all of those spears would have sent me potty. However, due to the price of asparagus here (end of season) and the fact that I didn't want six serves of soup, I only had to peel six spears, and bulked up the asparagus content with some leftover tinned asparagus that I had in the fridge. As expected, this soup tasted predominantly of - well, asparagus. There's a hint - if you aren't a fan of asparagus, don't make this soup. It was OK, but didn't light any fires for me. 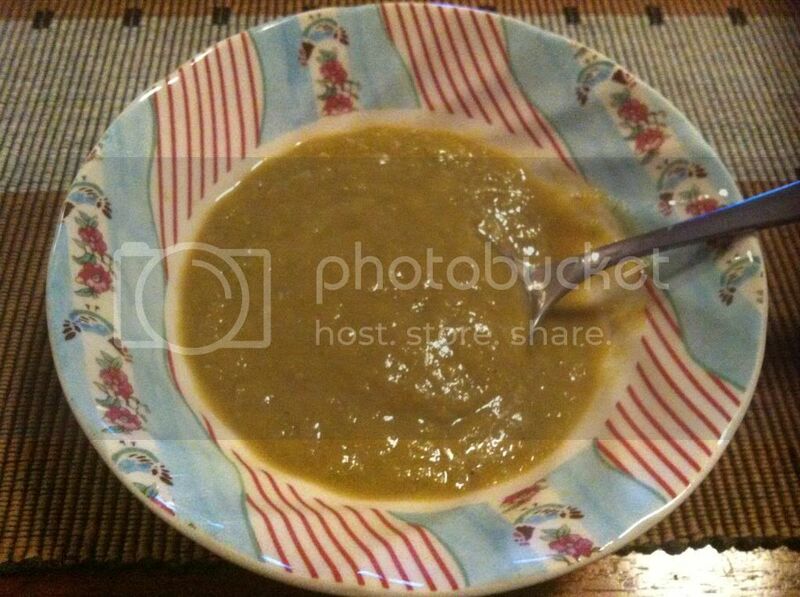 To see what the other Doristas thought of this soup, visit the LYL section of the website. Vale Hazel Hawke, who passed away yesterday aged 84. Hazel was the wife of one of our prime ministers, Bob Hawke. She reminds me of being a child in upper primary school, when Bob was elected PM, as one of our teachers told the class that if you didn't know the answer in the social studies test, write "Bob Hawke". I think our teacher was encouraging people to "have a crack" (to use a great Australian colloquialism) rather than to leave the answer blank; however, some students took him literally and wrote "Bob Hawke" as the answer to questions they didn't know, much to the amusement of our class. Good times! This week's Wednesday with Donna Hay pick came from Chaya, who selected Rigatoni with Peas, Asparagus and Ricotta from p130 of Modern Classics I. 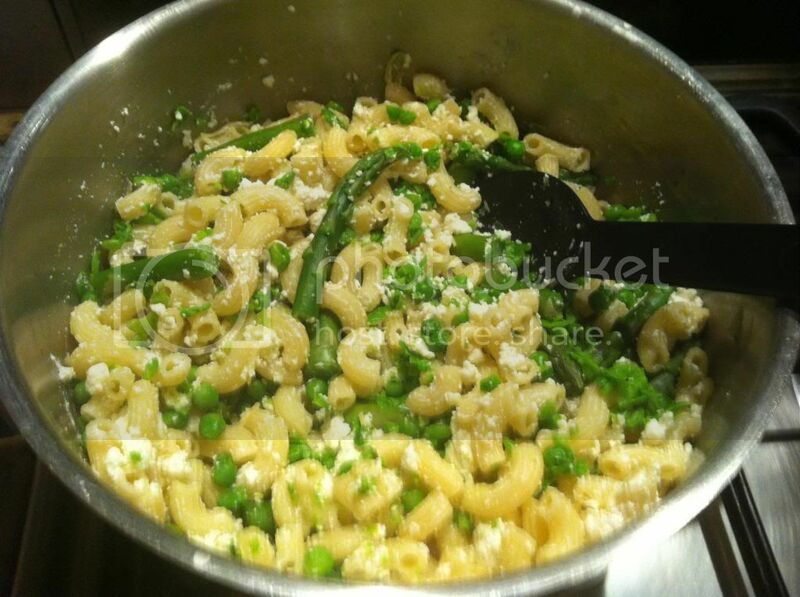 This is such a simple, light, fresh dish - it comprises pasta with asparagus, peas (whole and mashed) cooked in chicken stock, ricotta, parmesan, salt, pepper and a little olive oil. It is quick to make and very easy to eat. I loved it. 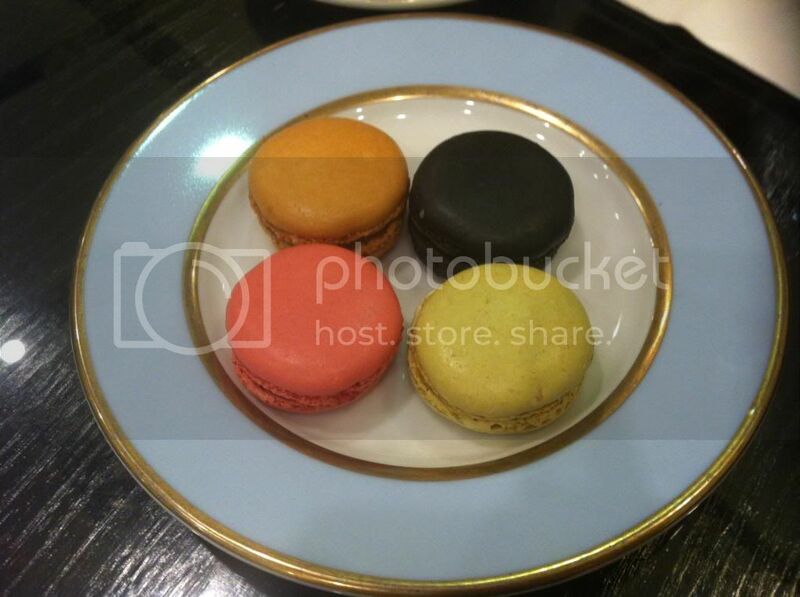 To see what Chaya, Margaret and Kayte thought of this dish, visit their websites. It's Baking with Julia time again, and this week, our recipe is Savoury Brioche Pockets, hosted by Carrie of Loaves and Stitches. These pockets are comprised of a brioche dough, filled with potato, caramelised onion and asparagus, with a sage leaf on top. I thought these were quite tasty, and they look cute. To see how the other BWJ bakers went, visit the LYL section of the website. Do you ever have those moments when you stuff something up without even realising it, but it all works out in the end anyway? That was the experience I had when I made Basbosa, a traditional Egyptian dessert, using the recipe from Share: The cookbook that celebrates our common humanity. Share is a very special cookbook in that net profits go to support the work of Women for Women International. It is also a very handsome cookbook, with information and case studies from the various regions where Women for Women operates, interspersed with recipes from chefs and famous people who do charity work, and glorious full page colour photographs. Some of the recipes are traditional for the region in which they feature, others are most definitely not, meaning there is something for everyone. I was instantly taken by the recipe for Basbosa, as the accompanying photograph looked delicious, and I was intrigued by something I had never heard of before. Now, I am not 100% sure whether I stuffed up the recipe or not. It refers to 240g of cornflour. In Australia, cornflour means wheaten cornflour, and it struck me that this seemed like a lot of cornflour for the recipe. However, I made it using the wheaten cornflour, not for a moment thinking anything was not right. However, the next day, I Googled some other recipes for basbosa (also spelled basbousa, but I use it the way it is spelled in Share), and noticed that most of those recipes used semolina and yoghurt instead of cornflour and cream, as specified by the recipe in Share from Manal Al Sharif (whom I believe to be a Saudi Arabian advocate for women's rights). Suddenly, the penny dropped - perhaps "cornflour" meant maize flour (cornmeal), not wheaten cornflour. The book was published in Britain, and I am sure that the Brits use the term "cornflour" in the same way as Aussies; however, that does not mean that Manal meant it that way, and given that many other recipes use semolina, I have a suspicion that Manal meant cornmeal. Oh well, it doesn't matter - my version of basbosa seemed to turn out fine, and a couple of people at work said they liked it, so it can't have been all bad, even if I have stuffed up. Pour the butter into the bowl of a stand mixer, and add the eggs, sugar, milk, cream, baking powder and vanilla, and beat until smooth. Fold through the cornflour and coconut then spoon the batter into the prepared cake tin. 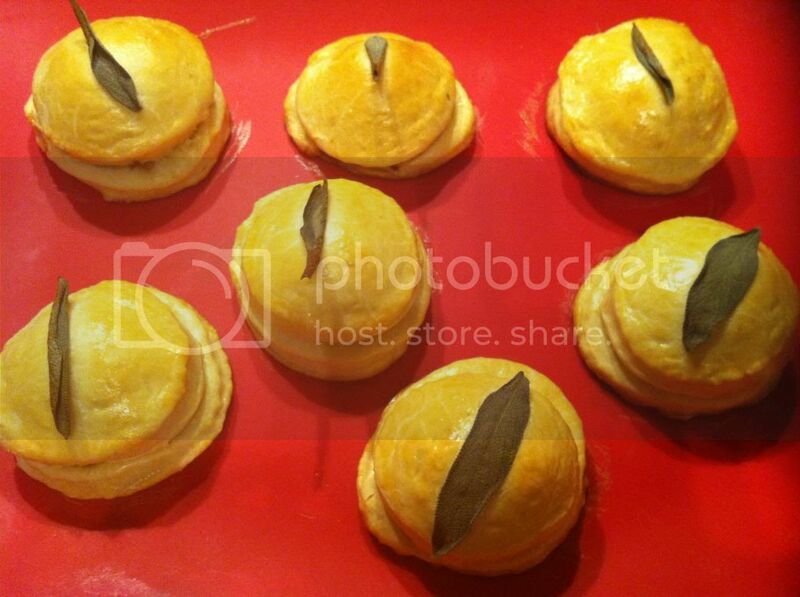 Bake the basbosa in the oven for 25-30 minutes or until golden on top and a cake tester comes out clean. Allow the basbosa to cool in the tin until lukewarm. Pour the cooled syrup over the lukewarm basbosa and sprinkle to top of the basbosa with the chopped nuts. Cut the basbosa into squares. Today is Cook's Choice for Food Revolution Day for our French Fridays with Dorie group. Our assignment: choose a recipe from Around My French Table that you loved (or would love to try, if it’s a recipe we haven’t made yet!) and Cook it. Share it. With family, friends, colleagues. Food Revolution Day is a global day of action for people to make a stand for good food and essential cooking skills. It's a chance for people to come together within their homes, schools, workplaces and communities to cook and share their kitchen skills, food knowledge and resources. Food Revolution Day aims to raise awareness about the importance of good food and better food education for everyone by focusing on three simple actions – cook it, share it, live it. 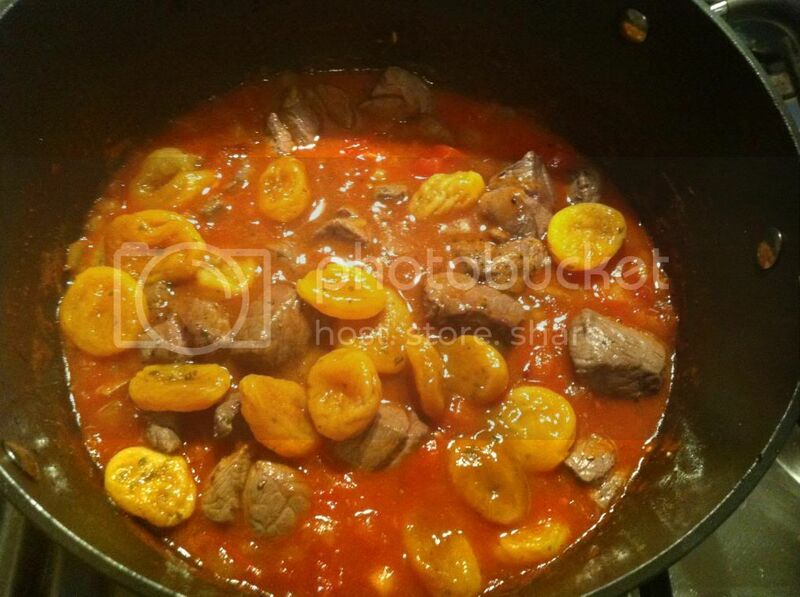 I chose to make Lamb and Dried Apricot Tagine from p284 of Around My French Table. You can find the recipe to make it in the book, or online here. 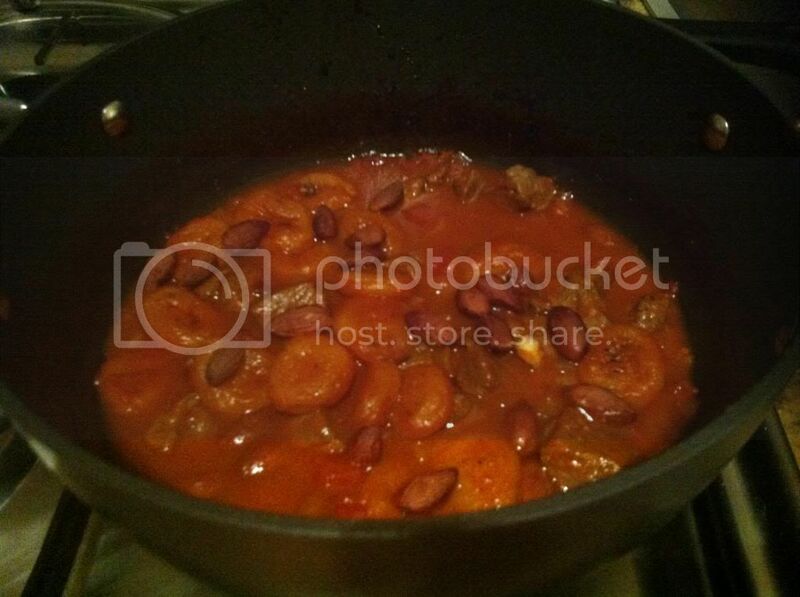 The photos below take you step by step through that recipe. cover the pot with alfoil, pop the lid on your pot, and cook the tagine in the oven for an hour. Add a handful of toasted almonds and cook for another 15 minutes. This tagine has a lovely zing to it - if you don't like zing, you can adjust the spices to your taste. However, the overall flavour is just devine in my view - sweet and savoury and spicy, with soft, melty meat. I served mine with steamed veges and leftover risotto. You can find out what the other Dorie cooks made for Food Revolution Day by visiting the LYL section of the FFWD website. This week, we travel to Italy for Wednesdays with Donna Hay as Margaret chooses Arancini from Modern Classic Book I.
I had some of the risotto for lunch with a small tin of salmon mixed through - it was delicious. I used pieces of light cheddar cheese to stuff my arancini instead of the mozzarella from a practicality and cost saving perspective. My arancini took about double the 3-4 minute cooking time recommended by Donna. The arancini were delicious, but obviously they are not every day food as they are deep fried. 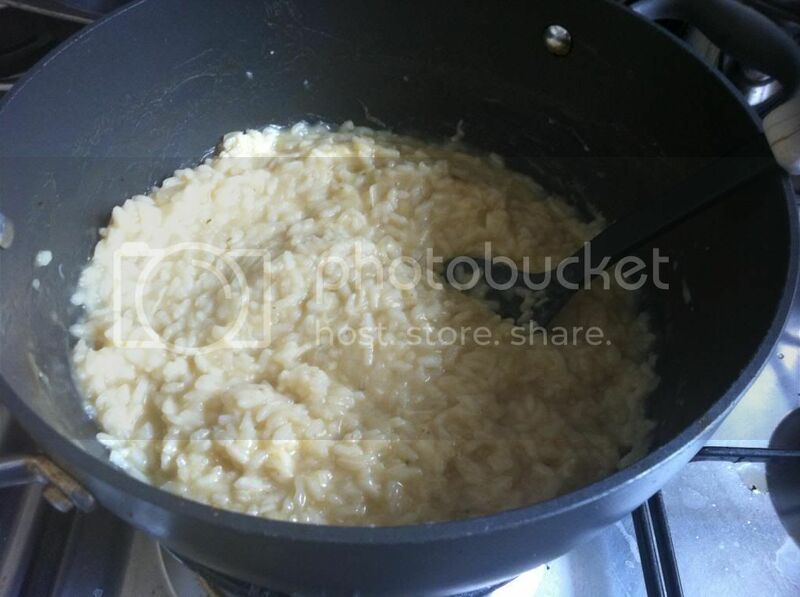 For that reason, I only made two arancini and will use the rest of the risotto as a side with another dish. 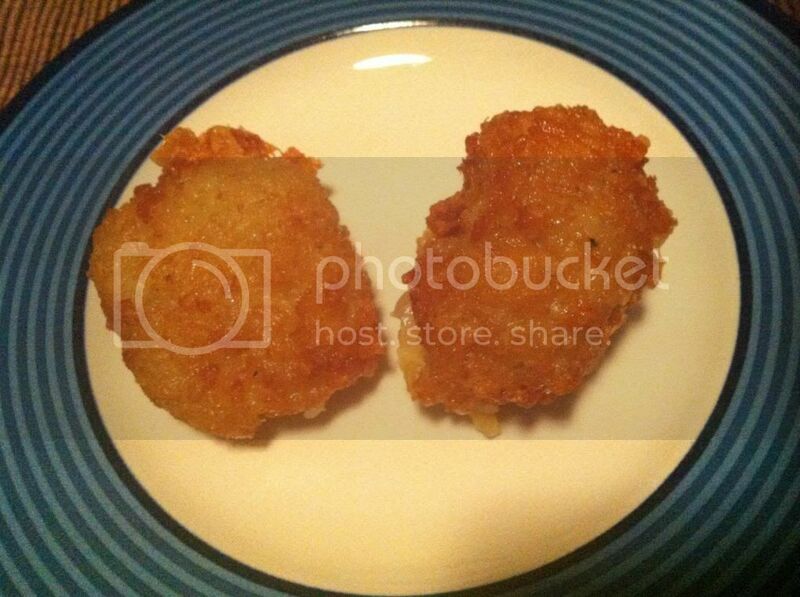 To see what Margaret, Kayte and Chaya thought of these arancini, visit their websites. Over the Anzac Day long weekend (created by taking Friday off as well as the official Thursday holiday), my family and I travelled to Adelaide for a mini break. My favourite part of that trip was going to Hahndorf, an originally German settlement in the Adelaide hills. Hahndorf is very beautiful at this time of year with the autumn leaves all yellow and red, and it has been kept cute-sy and touristy to attract visitors. While in Hahndorf, at the Bavarian deli, I spied what is a very difficult to obtain product here - Speculoos spread (known as Biscoff spread in the US). I had seen the mania over this product in the blogging world, and I was keen to get my hands on some. I had tried a Speculoos chocolate bar from Trader Joes when I was in the US last year, but the Speculoos spread had eluded me until now. Speculoos spread has a similar appearance and consistency to peanut paste, but it tastes of the spicy biscuits from which it is made. It is rather thick and cloying in the mouth, like peanut butter, so while I am glad to have tried it, it is not a favourite of mine. To ensure that I don't fall into the trap of eating the Speculoos spread all from the jar (although it tastes very nice on a warm crumpet), I decided to make Caramel Speculoos Blondies. You can find the recipe that I used here. I didn't put the soft caramels on top of my blondies, but these were not necessary, as the brown sugar makes the blondies very caramel-like without any help. 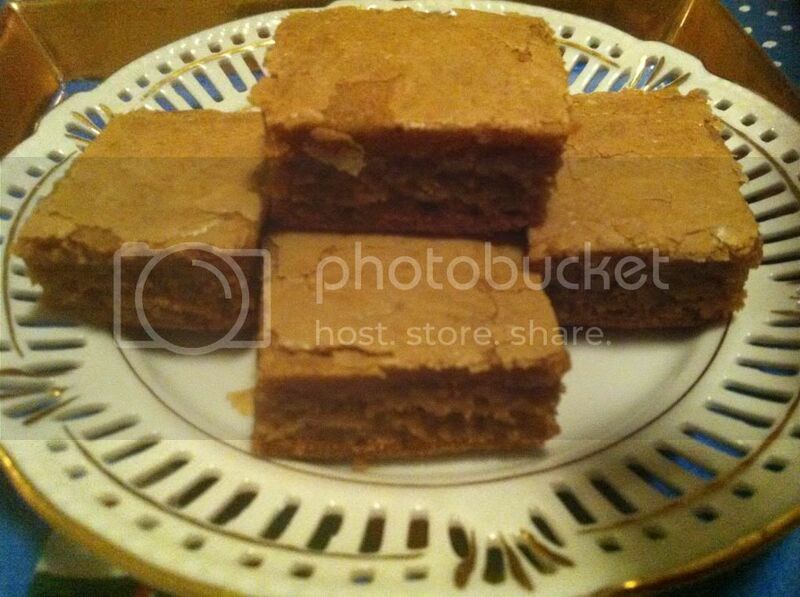 These blondies had a chewy quality to them - which didn't surprise me, as the batter was very thick. The verdict at work was that these blondies are rather good. 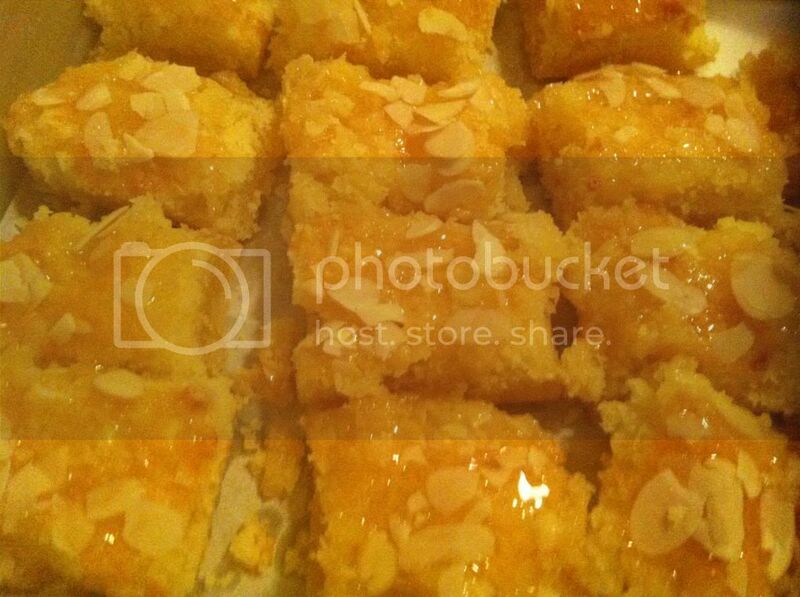 Though only one person commented on them, the fact that the blondies all disappeared speaks for itself. This lovely photo is courtesy of my friend Steve. I was firmly wedged into a row of seats, replete with paper Australian flags, so I couldn't really get up to take photos. 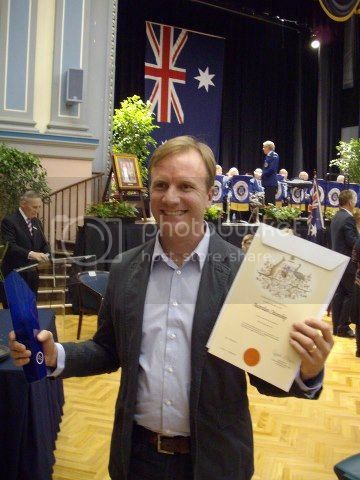 Congratulations Craig!!!!! This week for French Fridays with Dorie recipe is Coupetade, a bread pudding made with French toast instead of ordinary bread. As a kid, Mum made bread pudding to use up the egg yolks after she'd made pavlova. Neither of us really liked bread pudding much back then - it was the poor cousin to the main event, the pavlova. However, I now love the stuff. Because I didn't want temptation in my house, I scaled the 6 serve recipe down to 2 serves made individually in ramekins. I chose apricots and cranberries for the fruit component, and, sin of sins, I made French toast out of rye bread instead of brioche. This pudding was delish - what is not to like about custardy bread with fruit - but I don't think it trumps Donna Hay's marmalade bread pudding. I tried it both warm and cold - I think I liked it better cold because everything had had a chance to meld together into a smooth, sweet mouthful. To see what everyone else thought of Coupetade, visit the LYL section of the website. One of my favourite TV shows at present is Silk, the BBC series about criminal defence barrister Martha Costello on her path to becoming a Queen's Counsel (called "taking silk" - hence the name of the series) and her colleagues and clients at Shoelane Chambers in London. I think that the character of Martha is fantastic, but she lives a pretty hard life - she works all day, then comes home with the next day's brief(s) and starts again, working late into the night. Martha seems to subsist on a steady diet of beer (she has a built in bottle opener on her fridge), wine and cigarettes, and neither cooking nor eating seems to play a large part in Martha's life. This week's Wednesday with Donna Hay is a dish that Martha's lifestyle would never give her the chance to make. Our host, Kayte, chose Moussaka from Modern Classics Book I. 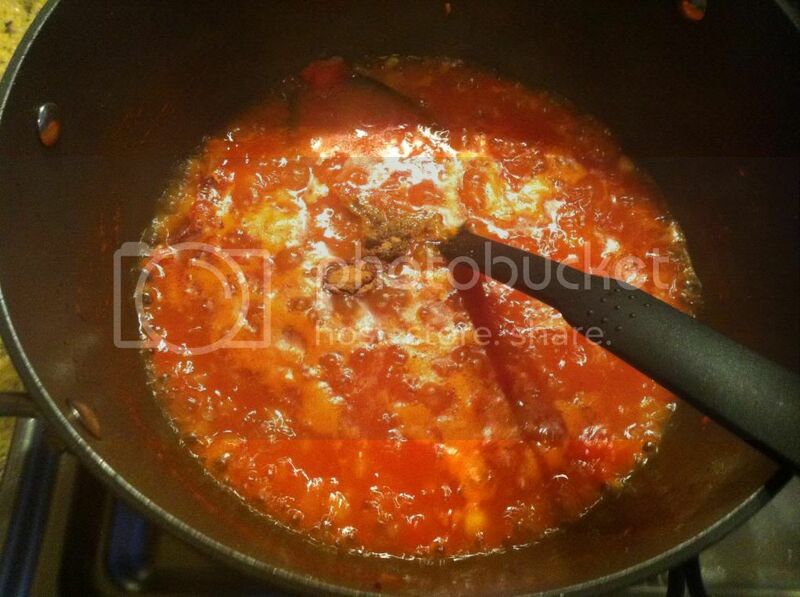 This dish is very tasty - it's tomato-ey, it's cheesy, it's meaty, it's rich. It is perfect comfort food for a cold night. The only drawback is the length of time it takes to prepare this dish. The longest part is preparing the eggplant. It has to be thinly sliced, salted, left to rest for 15 minutes, rinsed, oiled and lightly fried before it can be used to construct the dish. 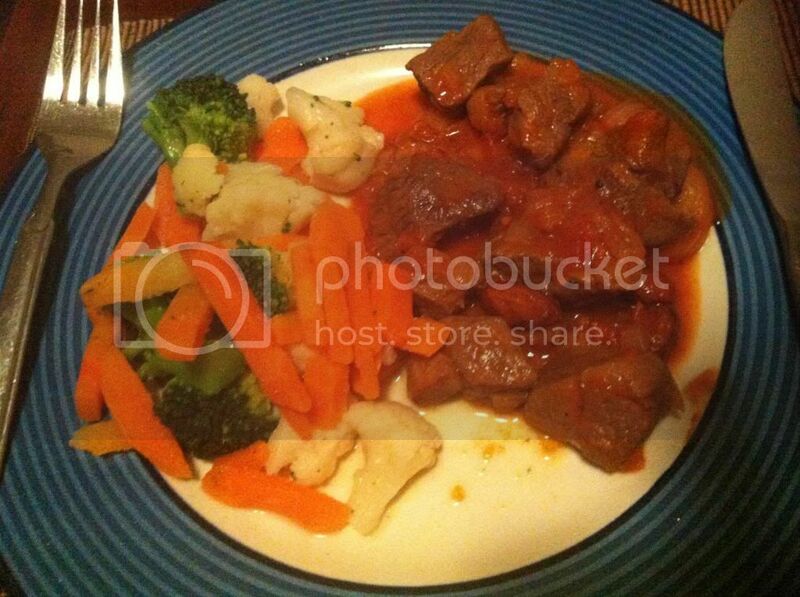 To see what Kayte, Margaret and Chaya thought of this dish, visit their websites on Wednesday, US time. Last night, I watched an amazing performance on The Voice by Kiyomi Vella singing Paloma Faith's Upside Down. I had never heard of this song before, but after seeing Kiyomi's performance, I was sold. 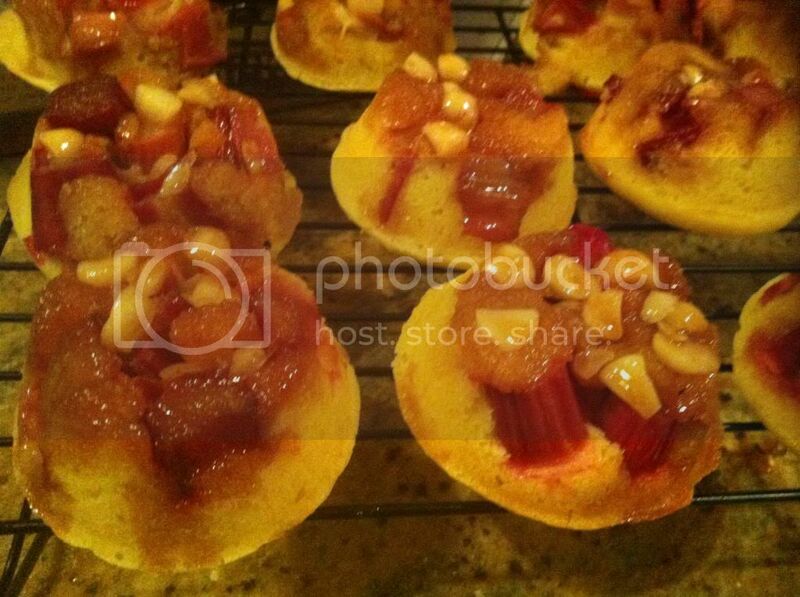 For Baking with Julia this week, we turned our own worlds upside down and made Rhubarb Baby Cakes, hosted by Erin of When in Doubt - Leave it at 350. I had thought this would be similar to the Ginger Baby Cakes we have already made, and except for my own laziness, I was going to make these in mini muffin tins. Now that I know how these cakes go together, I know that would have been a huge mistake - phew! I made my baby cakes in a 12 hole muffin tin and got 12 cakes out of the recipe. These cakes are comprised of a nutty caramel topping (I used macadamias instead of pecans), followed by a layer of sliced rhubarb, and topped with a butter cake batter. There seemed to be so much rhubarb packed into the tins, I was not sure that the cakes would hold together, but they did. And they were amazing!!! The sweetness of the caramel, the crunchiness of the nuts, the tartness of the rhubarb and the soft, tender cake make for a magical dessert. I ate one of these served warm, and it was fantastic. I would definitely make these again. To see what the other Julia bakers thought, visit the LYL section of the website on Tuesday, US time. If you want the recipe, buy the book, or Erin will have it on her site. 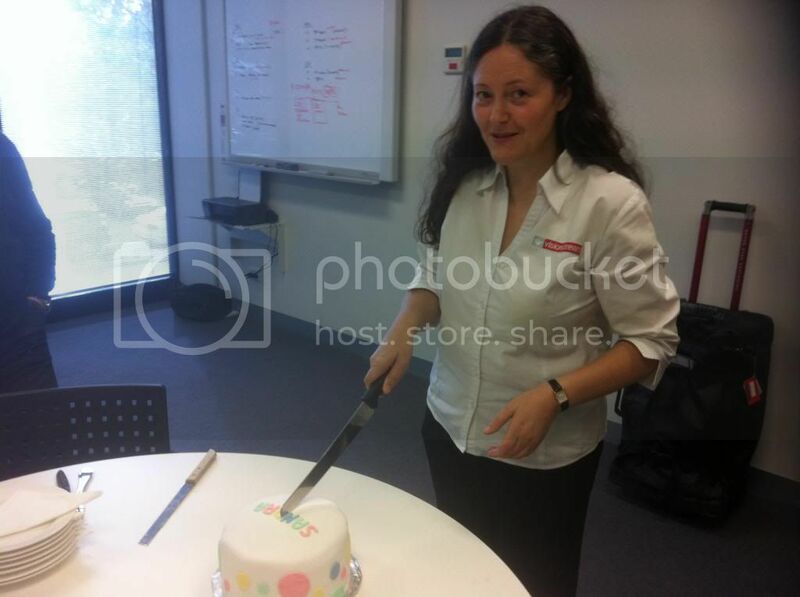 Last Friday was Sandra's birthday, and of course I made her a cake to celebrate. I wanted to trump last year's tomato soup cake, so I dug deep into my limited decorating skills and made the Polka Dots and Stripes Cake from the Australian Women's Weekly Decorating Cakes. This cake comprises 4 layers of butter cake - one yellow, one pink, one purple and one green - put together with white chocolate ganache, then covered with white fondant and decorated with fondant dots to match the colours of the layers in the cake. Instead of using 4 packet cakes, as suggested in the book, I made two butter cakes, each of which I divided into two layers, using this recipe (which is also featured in the book). 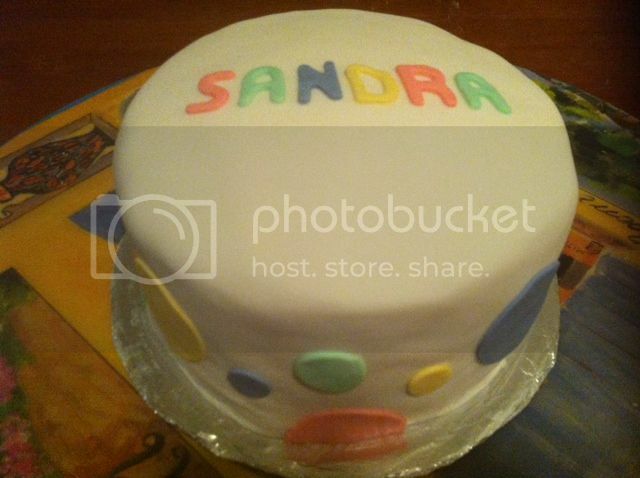 I used liquid colours to colour the cake batter and gel colours to colour the fondant. You can use your own favourite cake and ganache recipes to make this cake, which is simple but effective. 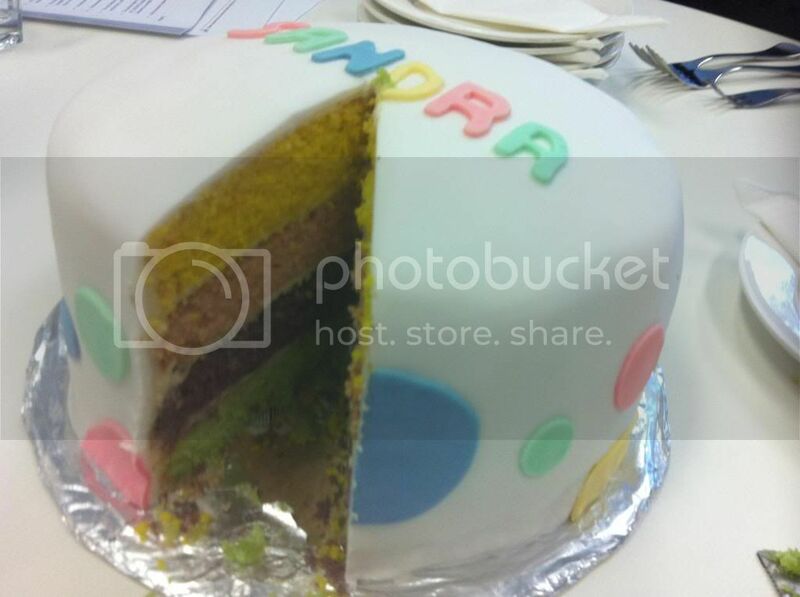 I was excited when the layers were sliced through and I finally got to see the colours inside the cake! Hope you have been having a great weekend. 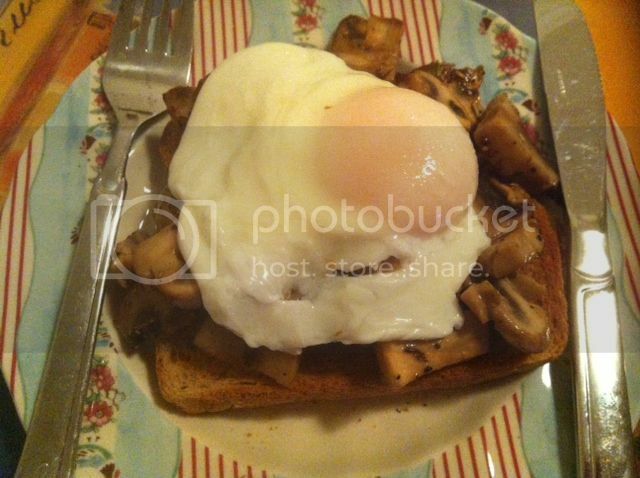 This week's French Friday with Dorie recipe is creamy mushrooms and egg. This comprises mushrooms cooked with shallot and cream and herbs (rosemary - I left out the mint - blech! 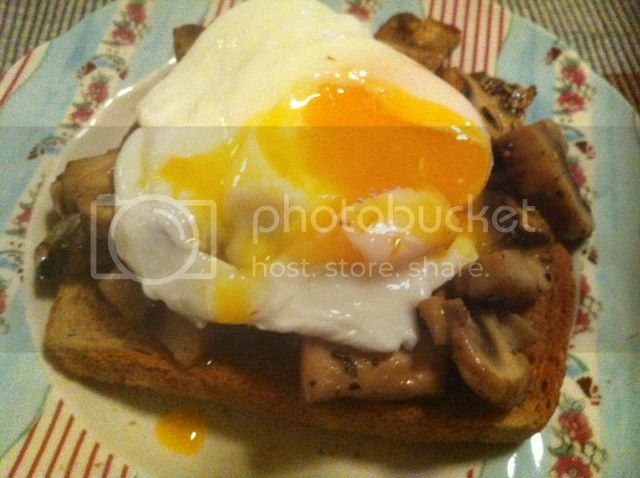 ), perched atop a piece toast (I used rye toast instead of brioche) and crowned with a poached egg. 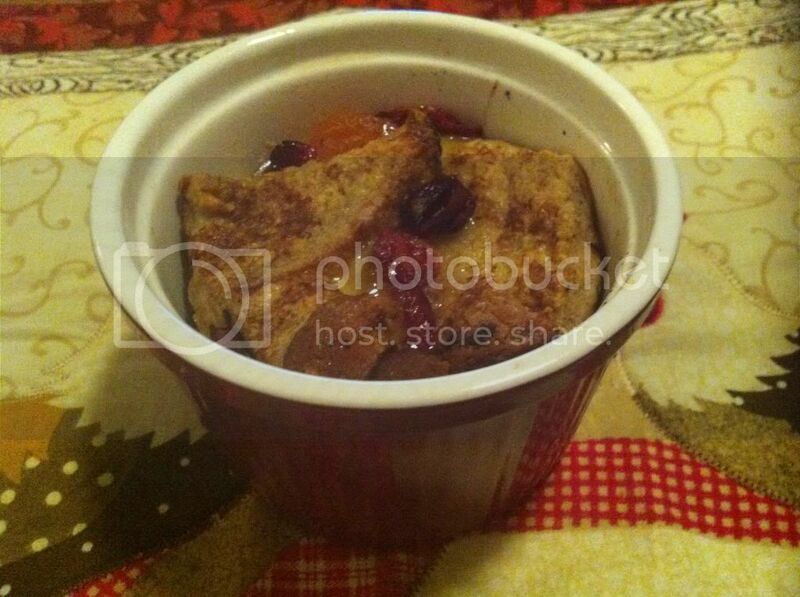 To see what the other Doristas thought of this "recipe", visit the LYL section of the website.